SpaceX will begin its first official resupply flight to international space station on Sunday, NASA said. For SpaceX, every flight is the real deal. It’s that way for any rocket company. But this time around, more than in the past, the private company contracted with NASA is flying without a safety net. Sunday, if all goes well, at 8:30 p.m. ET, a Falcon 9 Rocket with a Dragon capsule on top will lift off from launch pad 40 at Cape Canaveral, Florida. This will be the first of a dozen NASA-contracted flights to resupply the international space Station, at a total cost of $1.6 billion. Symbolically, this flight is huge. In May, SpaceX carried out a successful test flight that attached a spacecraft to the international space station, making it the first company to do so. But if something had gone wrong, another test flight would have been put in place. Now, there's no alternative. On this flight, the Dragon capsule is filled with 1,000 pounds of cargo, everything from low-sodium food kits to clothing and computer hard drives. Much of Dragon’s cargo is material to support extensive experimentation aboard the space station. One deals with plant growth. Plants here on earth use about 50% of their energy for support to overcome gravity. 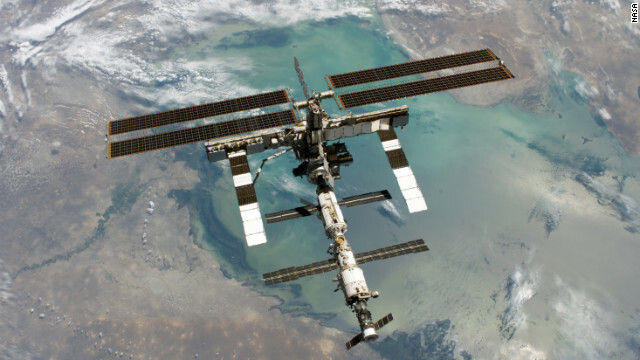 Researchers want to understand how the genes that control that process would operate in microgravity - when objects are in free-fall in space. Down the road, that could benefit food supplies here on the planet. The spacecraft is also carrying nearly two dozen microgravity experiments designed and being flown through the Student Experiment Spaceflight Program. More than 100 students and teachers and family members will be at Cape Canaveral for the launch. SpaceX is not the only commercial company in the spacefaring business. Within the next few months, Orbital Sciences is expected to fly its own demonstration flight to the space station. But Orbital is not using Cape Canaveral as its launch site. The company’s rocket will take off from Wallops Island of the coast of Virginia. Orbital has a nearly $2 billion contract with NASA for station resupply missions. Of course, SpaceX founder Elon Musk is looking well beyond just these cargo flights to the Station. SpaceX is one of three companies - Boeing and Sierra Nevada are the other two - NASA has selected to continue work developing a human rated spacecraft that would carry astronauts to the International Space Station. The SpaceX plan is to modify the Dragon capsule to carry people. Musk said in a previous interview with CNN, “We believe firmly we can send astronauts to the space station within three years of receiving a NASA contract.” Right now, the United States must rely on Russia to get astronauts to the station at a cost of about $60 million a seat. Musk believes he can get the job done for a seat price of about $20 million. If the launch goes off on time Sunday, the Dragon spacecraft will catch up with the Space Station early Wednesday morning. Station Commander Sunita Williams and Aki Hoshide from the Japanese Space Agency will use the robotic arm to grab Dragon and berth it to the station. In late October, Dragon will head back to Earth for splashdown in the Pacific Ocean. You make great points and obviously have researched your response. However, what you failed to consider is the reality, that there is no longer a need to deliver 60,000lbs of equipment and supplies with every trip. So in that regard, the private and Russian rockets become the more efficient means of delivery. That is a REALLY old picture of the ISS. How about getting one newer? There were a lot of US tax dollars spent to fully build out the station. link is to picture taken in 2012. It's much bigger now. This is going to be an exciting event for the space industry. If this succeeds it could get the ball rolling for many, many more space flights and cause the cost to go down dramatically. The next big thinkers need to be working on what to do with all the space junk this will inevitably create, because if this truly is our next big step into the exploration of space we're probably one day going to be putting it up there at a much faster rate than it'll be falling back down on it's own. All I want to know is how's Wolowitz doing? The other astronauts are being mean to him. we here on earth use the internet. Do the people on the space station use the outernet? Inter. Intra. One of these things is not like the other. At $100,000 per lb cargo cost maybe Fed Ex can do better. Still that's cheaper than NASA cost. "This will be the first of a dozen NASA-contracted flights to resupply the international space Station, at a total cost of $1.6 billion." Huh? I thought a SpaceX capsule connected with the ISS already. Yes Pete, one Dragon capsule HAS been sent there already, but it was officially classified as a test flight. The flight coming up tomorrow is the first official cargo flight in the contract. There were originally two test flights scheduled, but since the first one went as well as it did, they have proceeded with the contract flights. This is a very important flight for SpaceX. It's make or break this time around so everything has to go well. I urge everyone to wish them luck and support them. As these flights continue, they will get easier and more routine and eventually their will be a man-rated Dragon capsule that will astronauts to and from the ISS and we will no longer be dependent upon the Russian Soyuz craft for our space transport. There are great things coming! I am totally loving this! I can hardly wait for 8:30PM ET tomorrow. I didn't get to see the first launch live so maybe I'll able to catch this one. Hope so anyway. I'm rooting for SpaceX all the way. I want everyone to see that we don't have to rely on the government to do this. I totally want a private company to succeed at this and make money doing it. GO SpaceX!! Rick, your comment is an oxymoron. The government is paying SpaceX 1.6 billion to do this. By definition that is not commercial; it is still relying on the government. NASA and DOD also provided significant funding for development of the SpaceX vehicle. Boeing and Lockheed have been flying "commercial" vehicles for years and you guessed it...paid for with government payloads. All of the components of the space shuttle were also built by commercial companies and integrated by NASA. There is not a commercial market unless for some reason satellite launches increase significantly. government as it's customer and that sir, is most certainly commercial. As to the "subsidies" they were part of a development contract, not gifts. "The government is paying SpaceX 1.6 billion to do this"
Yes and the government "contract" is paying them to do it 12 time all for that fixed price. If they succeed, they get paid. Is there another kind of government contracting that you are aware of? NASA and DOD also provided significant funding for development of the SpaceX vehicle. Wrong – SpaceX had a vehicle reach orbit before they had a single penny of govt. funding. Good luck SpaceX! "Playoff Game 2" will happen tomorrow! So what is the technology from space that helps feed the poor? The only drivel I see is from you and NASA. What feeds the poor is jobs. No jobs, no food. Under the Ohmommy plan there no longer will be any jobs, just pure government dependency. And too many people accept those promises hook line and sinker: the 'gimme' crowd. They don't know that the money has to come from somewhere; the spigot from China WILL CLOSE DOWN SOME DAY. Even Ohmommy at some point in time realized that dumping money into companies like Solyndra has to end, and believe me, China is much smarter than your mommy. You know, it's funny how GOP nutjobs can only revert to calling people names (like the pile of names they give Obama) when they don't agree with you. That's because they have no REAL facts or information–all just FauxNews quotes. Yep. Everything I do not agree with I call 'FauxNews quotes'. Now that's reaching HickV. Getting into a blast at the President from my statement.Try some independent thinking if you can and keep politics out of it. Well let's see...um, how about satellite weather forecasts which have become extrememly helpful to agriculture? I think that qualifies as something that is a benefit to the poor. And the genetic mofication of seed to produce better crop yield is a direct result of advances in computing technology fostered by the space program that made gene sequencing possible. There are many things the space program here and in other has produced that make life somewhat easier for those less fortunate. It's just that not all of them are obvious at first glance. Read the article AGAIN...it's called "Micro Gravity"
All that money, for the dozen of so lights was spent on EARTH. You give $1,000 to the sectary and she spends in on food and rent and gas. The money gets re-cycled many times on Earth. The money to pay for space programs never goes to space. Celebrity News Network not Content News Network. Exploring space is a sign that humans have our priorities sorted out correctly. Wonder how many billions of hungry and ill mammals on terra firma could be assisted, with and by the billions of dollars being 'burned', to foster these extra-terra projects? If we humans ever get out priorities sorted out correctly? then perhaps playing in outer space would mean something productive, for all. And, as usual, we hear from the luddite faction. If we want to find money to feed everybody on the planet, maybe we could just stop killing each other for a few days. That would free up all the money we need to feed the world AND explore space. So much technology comes from the space program, much of which gives anti-science morons the ability to post drivel on CNN's comments section. hatred of technology is baffling. The world is over populated, starvation and disease are the only things that keep the population somewhat balanced the only other solution is to watch millions of people slaughtered in war, like what is happening in Syria. I can't wait for the DIctatorships of Iran and China to tumble. Within years the population will be lowered by 1/20 of the current amount of people . You got the math wrong. Divide the cost of this re-supply mission by thr number of people in the US. You see that it costs each of us about one dime. Don't be to upset not many people understand numbers. In addition to the many good answers your question has received, I would also point out that the money has fed a great number of people. You see, the money does not leave Earth. The money is spent here. It employs people. It buys goods and services. In other words, the money is not magically removed from existence as you seem to think. Rather, it gets pumped directly into the economy. Well, let's see. $1.6 billion over 12 flights works out to about $150 million per flight. To put that in perspective: the Health and Human Services agency spends that same amount roughly every 12 hours, 24 hours a day, 365 days a year. The Social Security Administration spends that amount in less than two hours. As you type your rant on a computer that's based on technology that was derived from experiments on space missions. It would be really nice if people would think about what the research we pay for has done. We now have advanced warning of hurricanes, thanks to space exploration. That saves human lives. I could go on and on, but people like LCB just want to whine. Short-sightedness is so sad. Please update your ISS pictures. This image of the station is about ten years old. NASA.gov has a lot of images you can use.